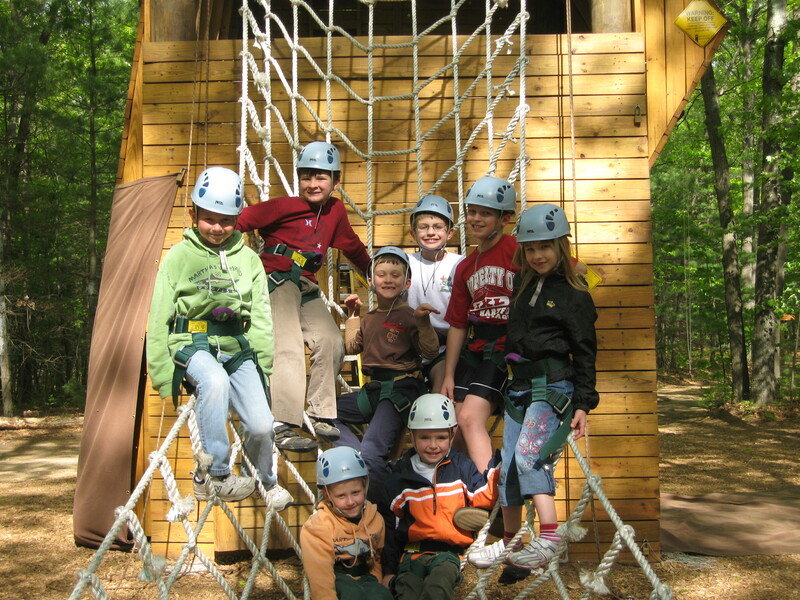 The Climbing Tower is designed to provide a more individual challenge and to build self-confidence while still relying on the group support system. The tower activities include an 8’ x 30’ Bouldering Wall; a 40’ Climbing Tower consisting of 3 sides; a 15’ Beginner Wall with a positive incline, a 35’ Intermediate Vertical Wall, and a 35’ Advanced Wall with overhangs. A safety system (belay system) is used with the Tower and 2 Extreme Engineering Auto Belay systems. The Zip Line is designed to provide a more individual challenge and to build self-confidence while still relying on the group support system. The 300’ long and 40’ high Zip Line is located on the top platform of our Climbing Tower. This can be added onto a Tower program if your groups numbers and time frame allow. This element is comprised of ten telephone poles with a series of multiple participant challenges. There are two tiers, the lower deck is at 20′ and the upper tier is at 30′. This element is unique because it is designed to climbed in a group so it allows for one to push their boundaries while having the direct support of their group members to help them through each activity.